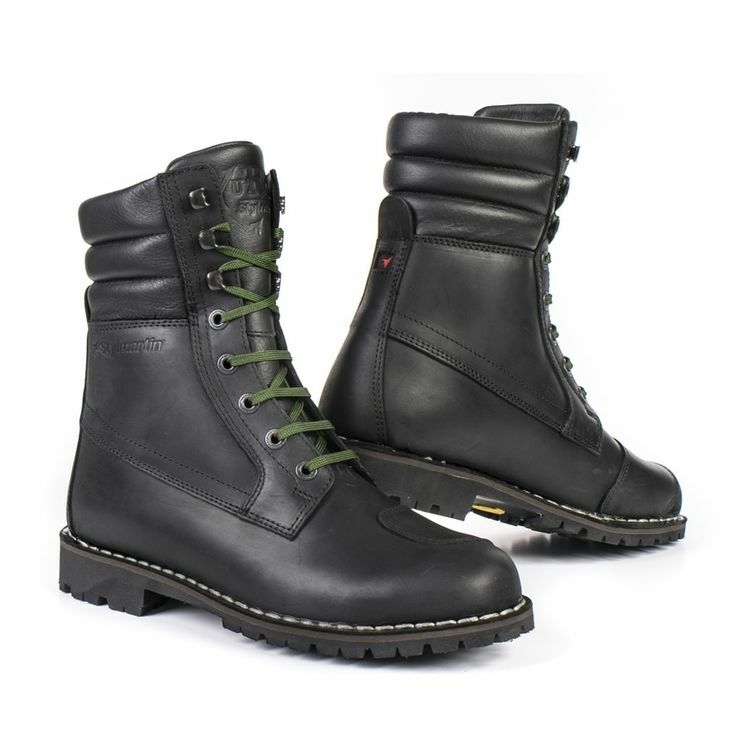 The Stylmartin Yu'rok Boots are a great combination of comfort and protection with classic styling. Their waterproof and breathable lining combine with the anti-slip rubber sole makes this boot a great choice whether you are commuting or riding until the road ends. Uses a Vibram sole made in Italy that is comfortable and popular with the hiking / outdoor crowd for all-day comfort. Black boots include a set of black laces as well as a spare set of green laces, the Black version also features a greased full grain leather. The brown boots include a set of brown laces as well as a spare set of red laces.